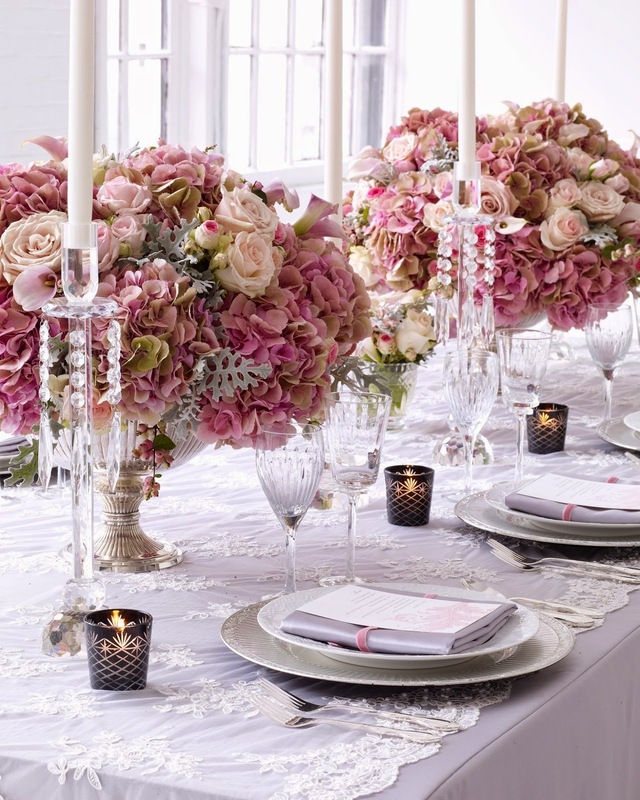 The first port of call when planning your wedding tables should be your florist. Florists are able to create stunning table centre pieces that will form the basis of your table decorations. They often have loads of photographs of previous displays that have been done so you can get inspired. 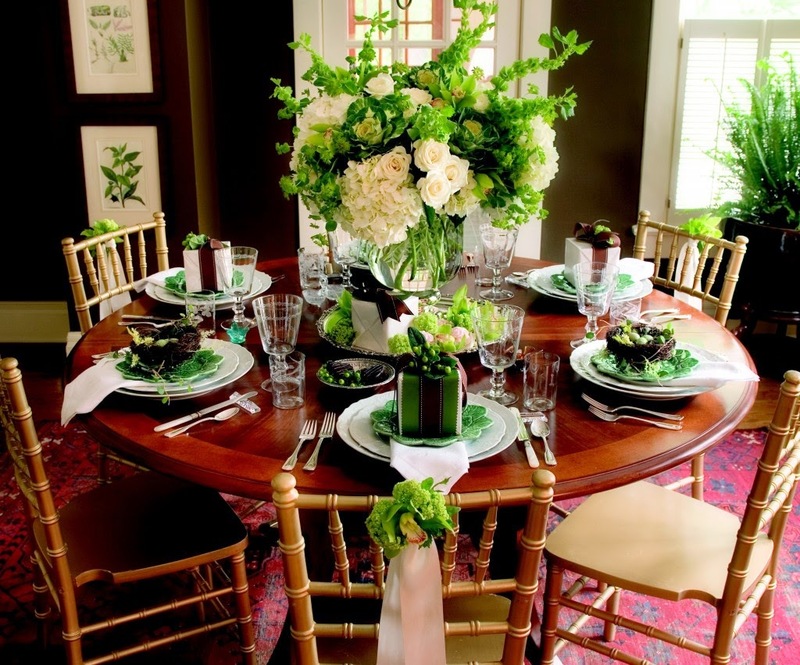 Ask them to create something tall so it doesn't take a huge amount of table space. That way you still have lots of room for other decorations. 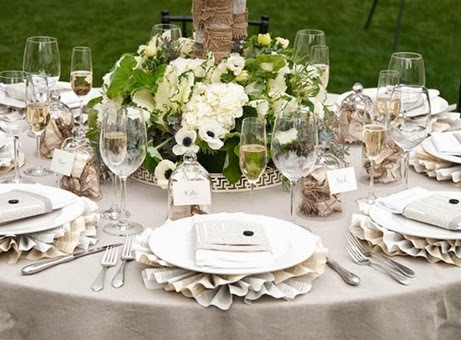 Anything that sparkles will create a great table decorations. 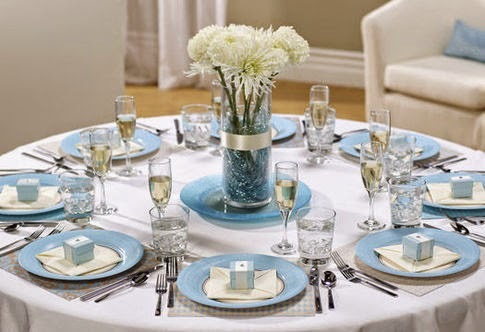 A simple and cost effective way to decorate your tables is to place tealights all around and scatter some gold or silver table sprinkles around them. The candle light will reflect in the gold and silver and create a beautiful shimmering effect to your wedding venue. This is a beautiful way of creating the wow for your wedding breakfast on a budget. If you're having a Winter wedding, wedding crackers are a lovely idea and form a beautiful part of your wedding table decorations. They can be purchased in many colours, not just Christmas colours, so will tie in with any colour scheme. Purchase crackers with a trinket inside and they will also double up as your wedding favours. Dried rose petals or other flower petals can be bought in bulk for sprinkling over your wedding tables and any other tables in your wedding venue. These are a really romantic way of adding decoration to your wedding tables and will look fabulous on your wedding photos. Use the same petals as the ones in your flower arrangements for truly coordinated look. Wedding candles make for beautiful wedding table decorations. There are lots of ideas besides the traditional tealight that can be found on the internet. A particular favourite is the pink or white roseball candle that looks fabulous when lit up around the room. Or how about floating candles for a truly unique table centrepiece. Wedding favours can form an integral part of your table decorations. Remember to consider the packaging when purchasing your wedding favours. Most come in beautiful boxes with coordinated ribbon but check whether the colours will match your other decorations or consider purchasing a different box for your favours that matches everything else at the wedding table. With a little imagination your wedding tables will look really beautiful and you will have wedding table decorations that are admired by all your guests. I am really very impressed with your reception Banquet Halls. Can you please suggest me which event management company you had booked? Please share your reviews here! !